8 Makeup Secrets To Make Your Eyes More Expressive, the eyes are the mirror of the soul. Therefore, it is not a surprise that girls look for different ways to make their eyes bigger and more expressive. We invite you to discover some tips that will help you highlight the beauty of your eyes. The beautiful eyebrows are one of the main ornaments of the face. You can highlight them using a pencil, wax or shadows for eyes. A highlighter is a solution that gives your skin a shiny appearance. 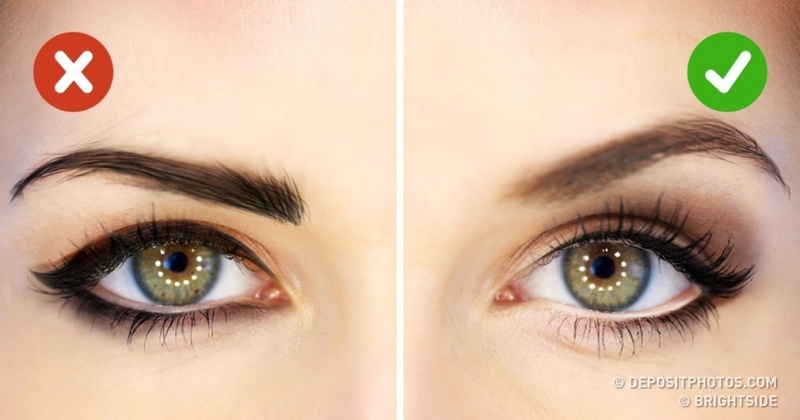 To make your eyes more expressive, apply the highlighter on the inner ends of the eyes and along the eyebrows. Delineating your eyes will never go out of style, so with confidence, you can take a pencil or eyeliner and draw beautiful curved lines in your eyes. «Smokey eyes» is one of the most popular methods of applying eye makeup. It is suitable for any time of the day and highlights your look. To make your eyes look bigger, put a point with a white pencil on the inner end of one eye and fade slightly. Another trick that will help the same purpose is to draw a white pencil line under the lower lashes (move from the outer point of the eye to the inside). Using eyelash tweezers, curl them in such a way that they look natural. To make your lashes look longer, take your mascara and, looking up, pass the applicator starting from the roots of the lashes to their tips. Then take the applicator vertically and pay attention to each tab in particular. If you want to accentuate your eyes, use a light colored lipstick. A pearly or soft tone will highlight your eyes more.